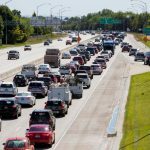 Not just good, but among the best in the nation, according to some number-crunching by an online insurance company that has us in the Top Ten for shortest commutes among the 100 largest metro areas in the U.S. The average roundtrip commute in the Treasure Valley clocks in at just under 38 minutes. America’s longest drive time belongs to Los Angeles suburb Palmdale, California at over 85 minutes. Everything’s relative, isn’t it? Talk to California transplants and they’ll rave about what a breeze our traffic is. Talk to natives and they’ll gripe about how bad things are getting and reminisce about how much better it was before all those California transplants showed up. And don’t even get us started on housing prices! Not unless you have all day to listen.